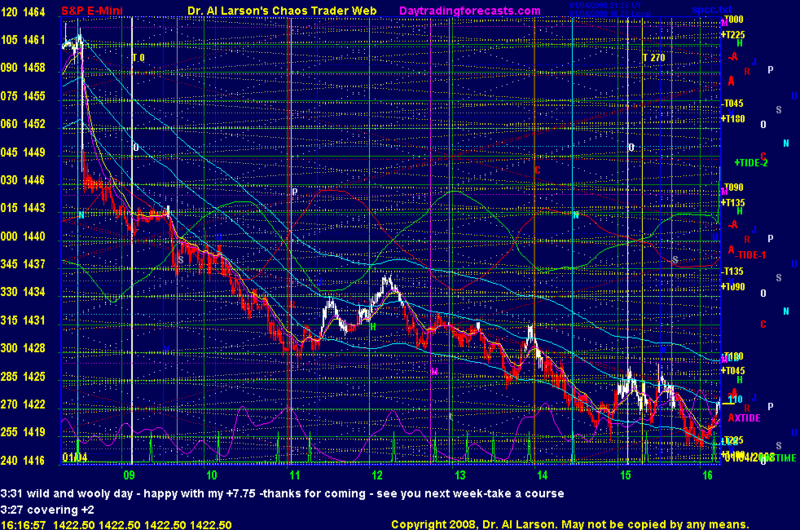 1/4/2008 10:59:39 AM Mountain TG:: end of fractal projects to this time so could be a higher low. I'll buy a 20/110 upside cross. 1/4/2008 10:35:35 AM Mountain TG:: I'm going to try and post a comment about multiday fractals in the certified chaos trader chat room. Based on that analysis, I think we'll get today's low point right about 1:00.